Sebastian 'ClioRacer' Seybold has been doing really well in nearly all of the six passed races. In the first race of the Season Sebastian was able to drive home a great 6th place while Carsten 'KiLl3r' H&ouml;renbaum got involved into a crash and just got 10th. In the second race Sebastian caused a little crash with the BMW Sauber F1 Car and hit his teammate Carsten. Sebastian had to retire and Carsten got last but he was still able to get 4th after an thrilling catch up race. In the third race Sebastian celebrated a good comeback with a good 4th place while Carsten got into big troubles with his car. Race four has been the best race for Sebastian so far. He was able to drive home a perfect 2nd place while Carsten got involved into a crash with Marc Gassner on Position 7. Race 5 has been the worst race for our SK Racing pilots. Carsten got crashed by Marco Schnieders and flew off the track. He got last and had no chances to reach a good result. Additionally Carsten had to move down to Grid 2. Sebastian has been leading the 2nd race until the last lap when he got a unlucky disconnect. Marco 'Jay' Schade who is the current ESL Sports Racing Champion in LfS joined the season for race 6 of the running Championship. Marco and Carsten were able to place 2nd and 3rd in Grid 2 and both move up to Grid 1 for the seventh race. Sebastian was able to celebrate a fantastic 3rd place in Grid 1 with the Formula BMW in South City. The whole season of the ESL Sports Racing Championship will be broadcasted via multiBC. 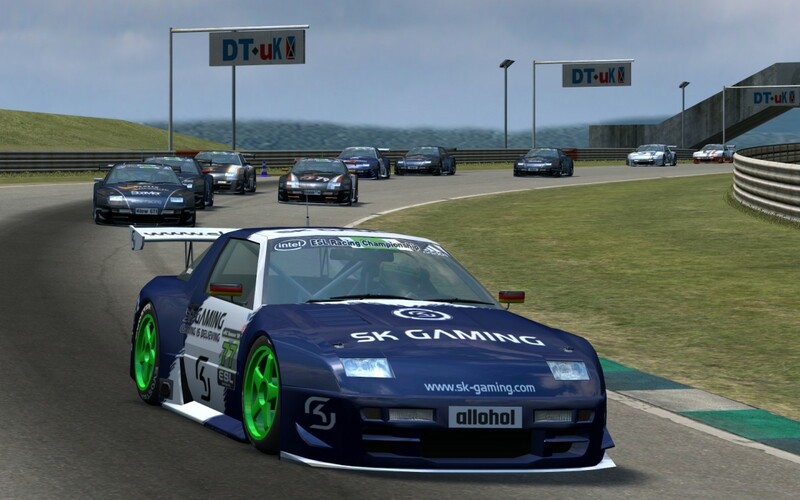 You can find a live stream on our ESL Motorsport Championship 2009 Eventsite every monday evening - Follow how the SK Racer's are doing in their races! The next event is just going to start tomorrow at 20:15 o'clock german time. (26th October 2009, 20:15 CET) You can also find further information about the ESL Racing Championship (Live for Speed) as well as the ESL Touring Car Championship (RACE 07) in there.